Generally, if you want to be on the safe side, avoid the cheap electric bicycles. In comparisons to other modes of transposition vehicles such as motorcycles and cars, you can get an high-end e-bike for relatively very affordable price. In addition, the on-going costs are pretty low. By referring to cheap electric bicycles, I don't necessarily mean any low cost electric bicycle. What I truly mean is cheap e-bikes which are also crappy e-bikes. Of course there are low cost e-bikes which are a great buy, but there are also cheap e-bikes which you should definitely avoid. You just have to know how to differentiate between the two. What is the price tag for buying a cheap electric bicycle? When you buy cheap, there is a good change that you will discover over time that you didn't get what you wanted or have been promised. You'll get an e-bike with performance that are far from what was advertised. You probably won’t be happy over the long run with a cheap electric bicycle, you will get frustrated and end up spending more money for the pair that you should have bought in the first place. Why selling cheap electric bicycles (which are also crap) doesn't make business sense for the long run. People will realize what they bought was a mistake and next time they will buy something better. People will assume that all electric bicycle are crap and they will be back in their previous mean of transport (a car most often). Either way the seller of the crappy e-bike loss. But it's not a rule of course. Cheap is not always bad and there are exceptions. You just need to know how to avoid the bad bargains and find the good bargains. So before you buy the lowest price e-bike you can possibly find, it's important to understand why the cheap electric bicycles cost only a few hundreds dollar and other e-bikes cost several thousand dollars. There could be good reasons and bad reasons for that. Also, if you are going to buy an e-bike which you are going to use just here and there and for relativity short errands and you are not too concerned about it's weight, you can compromise on buying cheap e-bike with minimal warranty. When buying cheap, you would probably have to treat the e-bike with greater care. Also, can you deal with electronics? Can you deal with bicycle maintenance and regular tune-ups? Would you be able to handle little problems? If not, be sure that you know someone who knows and will be glad to help you or have a good professional mechanics shop near by. It is a safe bet that some of the cheap components that came with your e-bike is going to be needed to be replaced sooner than later. It is even better to replace them right away to reduce the change of accidents. So part of the money that has been saved in the initial purchase will be spend for replacing the cheap parts. Cheap electric bicycles are mostly found online but not exclusively. First of all, there is always the change that the e-bike you have ordered won't even start at all. After we passed this hurdle, the story is not over. Many other problems could appear along the way. And when problems appears you would want to use the customer service, but many times the customer service is stink or not exist at all. Also, electric bicycle mechanics won't always know or accept to work on cheap electric bicycles. Spare parts are not always available and it can be quite a bit of unnecessary hassle for them. Overall, it could be expensive or hard to find spare parts. Sometimes you will even find out that the warranty is worthless and you can't really get your e-bike fixed. You will also probably want to have a place that will take care of your e-bike long after the warranty is expired and when you buy cheap electric bicycle with cheap components, it is not trivial to find such a place. But there are of course cases when there isn't any problem with the warranty, and customer service will advice you even after the warranty has long been expired. Probably the best thing that you should do is research before buying. You can start by reading the reviews, the best e-bike page and searching up in the forums. E-bikes forums includes a lot of "underground" information from e-bike enthusiastic members from all over the world. Also, investigate a little bit about the manufacture. Again, use the forums, Google about it and look for reviews. You want to be as sure as possible that this e-bike have a responsible mom and dad. They must be professional. Look for clues that indicates otherwise such as amateurish website, lack of or not sufficient contact information, blur information, exaggerated advertisements and performance that are just too good to be true. Another good indicator could be what kind of certification does the manufacture has. Having a certification means that the manufacture has passed some kind of tests. There are different kinds of certification tests which includes environmental standards tests, safety tests, quality tests and more. Some manufacturers in the choice of the different electric components do not pay attention for matcingh between them, and by doing so, shorten the lifetime of the e-bike and hurt the performance. There has to be a match between the components! The controller, the battery and the motor all have to speak in the same language. The controller needs to know what are the exact characterization of the battery and the motor under different conditions. Also, water resistant is a must. The sealing has to prevent any water from getting through. There is a miss conception about the terms water resistant and water proof. Usually water resistant sealing will prevent water from getting through but in heavy rains water may get through. Just water proof systems offer the maximum protection. You most likely won't find the expensive Lithium-Ion batteries on cheap electric bicycles. Instead, cheap e-bikes are usually come attached with cheap Lead-Acid batteries. The difference between the price of different e-bikes is mostly attributed to the battery type and size. To understand the differences between the different battery types, click here. Don't compromise on the non-electric stuff. It is not an excuse to have cheap components only because you have a motor. Think about putting a Porsche motor inside a Daihatsu Sirion. It just doesn't make sense. 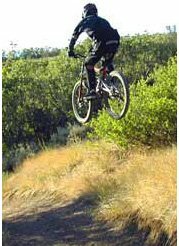 The motor will work better and you will enjoy the ride much more if you have high quality bicycle parts. It is just that some people assume that if they add electric components to a bicycle, then the other parts are not as important as if the bicycle wasn't electric. Also, they maybe don't want to spend too much money, as e-bikes cost more then regular bikes and therefore, compromise on some of the components. Sometimes it is a good idea to buy a smaller battery or motor and invest in better wheels, frame and shifters and brakes. Reducing the weight for example is not less important then having a big enough motor. Serious excessive weight will kill your riding experience. Pedaling will be just too hard. Some bicycle manufacturers focus only on the price in order to maximize profits. Whether they buy their parts for assembling or manufacturing the parts themselves, cheap price is the only thing that stands before their eyes. Now, there isn't anything wrong with trying to reduce expenses but it should not be compromised with safety and accountability over the long haul. But because of lack of regulations, tests and certifications, the manufacturers knows that they don't always have to stand behind their products for the long term. Forks, for example, are prone to fracture. Axles, frames, and welding areas are also under big stresses. Electric bicycles stand under higher stresses and their average speed is higher in comparison with conventional bicycles and therefore it is twice as important not to go too cheap if you don't want some parts of your bicycle to get cut off while riding 30km/h. Aside from safety problems, poor quality equals unsatisfied buyers. It can drive away potential lifetime e-bike users and it's something which certainly needed to be avoid. The are good and bad e-bikes just as there are good and bad cars. The difference is that the car industry is much more mature and companies that offer low quality cars won't be able to survive for too long. Moreover, many people can tell you what to buy and what not to buy. The electric bicycle industry is just growing up. But, in the last couple of years, a lot of mainstream bicycle companies had entered to the e-bike business. Nowadays, almost every known company offer at least one e-bike. This is a good sign for the industry, and it is a bad sign for the cheap electric bicycle manufactures. Many bicycles and electrical systems made by Asian manufactures come with dubious quality parts and assembly. Asian imports are sold worldwide and are often sold alongside quality bikes that are more expensive. So you probably asked yourself, why are this Asian e-bikes are so damn cheap? There are probably two reasons for that. And the real answer is found somewhere in between. Electric bicycles in China is a huge industry, about 20 million e-bikes are manufactures there each year. So as with any large industry (not necessarily mature), production costs are getting lower with time. Because of aggressive competition and financial pressure, manufactures try to cut expenses at all cost. The result is sometimes - low quality e-bikes. Also remember that e-bikes have some kind of privilege when it comes to law and taxes. Different countries have different regulations and it is possible that you will buy an Asian legal bike which is illegal in your own country. To read further about Asian (mostly Chinese) electric bikes, click here.